Askeys Crackin'! range sets hard on ice cream, transforming it effortlessly into a delicious premium dessert within seconds. 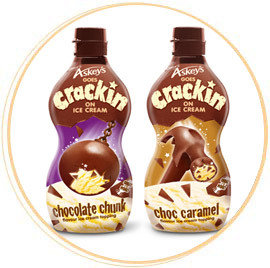 Chocolate Chunk and Crackin' Caramel.